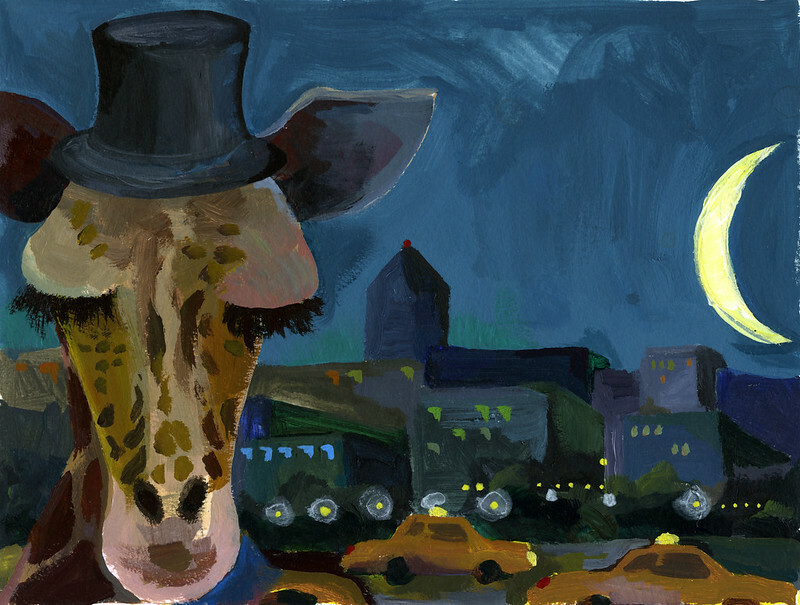 Giraffe had a ticket to the city. He wanted to live a glamourous life. Coming next, a scene inside the train, as soon as I figure out how to draw a cricket wearing cat eye glasses. When I was a kid my mom’s best friend and my “fairy god mother” was a children’s book writer and illustrator. I loved getting new books from her. She gave me a book called Hello Irina when I was very small. In it, a horse takes a boat and then a train from Russia to the coast of France to be with the wild white horses she has heard about. I stared at the picture of the horse on the edge of the field dreaming about leaving home for what felt like hours. (Now that I know a two-year-old, I realize this was probably more like 10 minutes.) I didn’t realize it until I was home this summer and saw the book again, but Giraffe’s story is a lot like Irina’s. The Bean loved Hello Irina when he saw it at my parents’ house this summer, so I have hope that he will like Giraffe. Categories: arty, bookish, just the pictures | Permalink. Such a cool thing to do for Bean. I am SOOOO envious of the Bean right now. (Unseemly I realize, but I feel the honesty is imperative when we’re on the subject of children’s books.) What a wonderful thing to do for him! I can’t wait to see the next installment. The illustrations are beautiful… and I think you should share! I’ll totally buy a copy for Bingo. I love it! We’ll be waiting eagerly for crickets in glasses! 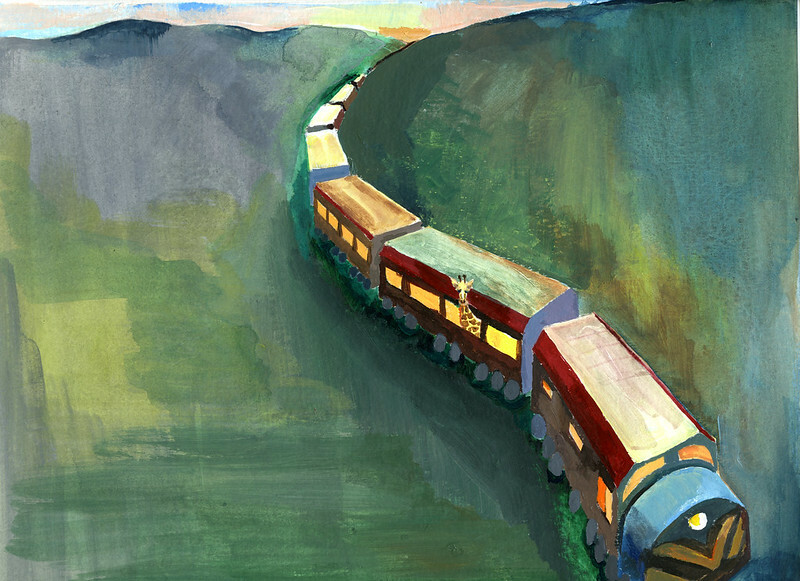 The train is so, so, so gorgeous and evocative. Love it. And I am extremely charmed by the little triangles of light in the city windows. And I think it’s nifty that there are echos of your own childhood magic in this story. That train picture breaks my heart in a good way.